A decedent's intestate estate is defined as any part of a decedent's estate not effectively disposed of by will. Sec. 15-11-101. The first $167,000 (with indexed additions), plus 1/2 of any balance of the estate, if one or more of the decedent's surviving descendants are not descendants of the surviving spouse. Sec. 15-11-102. If the decedent is survived by a person with the right to inherit real or personal property from the decedent in a designated beneficiary agreement, the intestate share of the decedent's designated beneficiary is: (a) The entire estate if no descendent of the decedent survives the decedent; or (b) One half of the intestate estate if one or more descendants of the decedent survive the decedent. Sec. 15-11-102.5. If there is no surviving descendant, parent, sibling or issue of a sibling, but the decedent is survived on both the paternal and maternal sides by one or more grandparents or descendants of grandparents: (a) Half to the decedent's paternal grandparents or to their descendants if both are deceased, the descendants taking per capita at each generation; and (b) Half to the decedent's maternal grandparents in the same fashion. If there is no surviving descendant, parent, sibling or issue of a sibling, but the decedent is survived by one or more grandparents or descendants of grandparents on the paternal but not the maternal side, or on the maternal but not the paternal side, to the decedent's relatives on the side with one or more surviving members. Sec. 15-11-103. If there is no taker in accordance with Colorado law, the estate passes to the State of Colorado. Sec. 15-11-105. Colorado is a community property state. Sec. 15-20-101. The testator must be 18 years of age. Sec. 15-11-501. A will must be (1) in writing; (2) signed by the testator or in the testator's name by another individual in the testator's conscious presence and by the testator's direction; and (3) either I) signed by at least two individuals, either prior to or after the testator's death, each of whom signs within a reasonable time after he or she witnessed either the testator's signing of the will or the testator's acknowledgment of that signature or the will or II) acknowledged by the testator before a notary public or other individual authorized by law to make acknowledgements. Sec. 15-11-502. An individual generally competent to be a witness may act as a witness to a will. The signing of a will by an interested witness does not invalidate the will or a provision of it. Sec. 5-11-505. A will that does not comply with the above requirements is valid as a holographic will, whether or not witnessed, if the signature and material portions of the document are in the testator's handwriting. 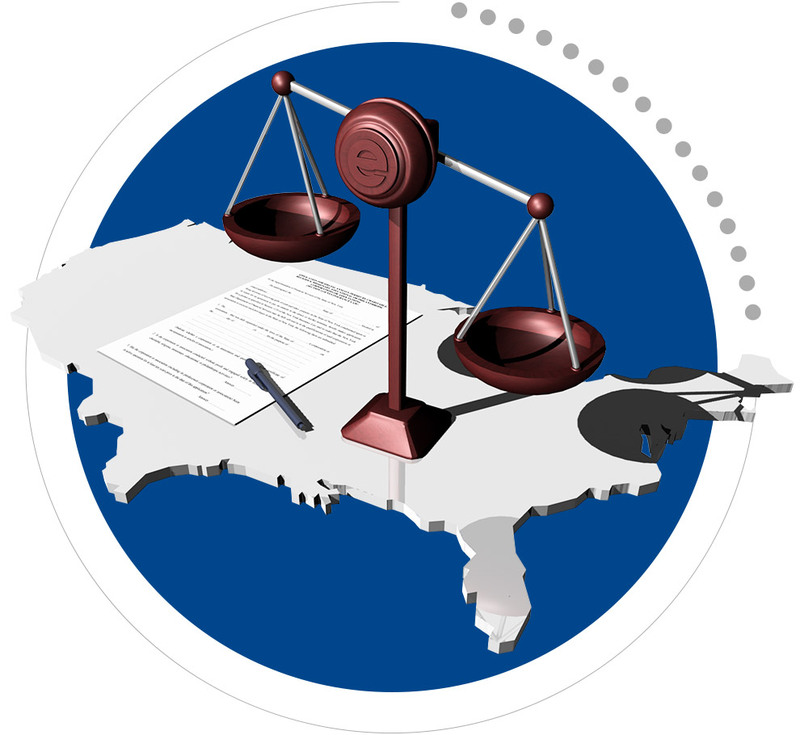 Intent that the documents constitute the testator's will can be established by extrinsic evidence, including portions of the document that are not in the testator's handwriting. Sec. 15-11-502. A will may be made self-proved by acknowledgment by the testator and affidavits of the witnesses, each made before an officer authorized to administer oaths under the laws of the state in which execution occurs and evidenced by the officer's certificate, under official seal attached or annexed to the will. Sec. 15-11-504. A beneficiary who is not established by clear and convincing evidence to have survived an event, including the death of another individual, by 120 hours is considered to have predeceased the event. However, survival is not required if the testator includes a provision in his or her will dealing explicitly with simultaneous death or death in a common disaster or the imposition of the 120-hour requirement of survival would cause a nonvested property interest or a power of appointment to fail to qualify or to become invalid. Sec. 15-11-702. A will may be modified at the desire of the testator by a codicil executed in accordance with Colorado law. A will or a part of a will is revoked by: (1) by executing a subsequent will that revokes the previous will or part expressly or by inconsistency; or (2) performing a revocatory act on the will, if the testator performed the act with the intent and for the purpose of revoking the will or part of the will or if another individual performed the act in the testator's conscious presence and by the testator's direction. A "revocatory act on the will" includes burning, tearing, canceling, obliterating, or destroying the will or any part of it, including whether or not the burn, tear or cancellation touched any part of the will. If a subsequent will does not expressly revoke a previous will, the execution of the subsequent will wholly revokes the previous will by inconsistency if the testator intended the subsequent will to replace rather than supplement the previous will. If a subsequent will makes a complete disposition of the testator's estate, the testator is presumed to have revoked the previous will. A testator is presumed to have intended a subsequent will to supplement rather than replace a previous will if the subsequent will does not make a complete disposition of the testator's estate. The subsequent will revokes the previous will, only to the extent that the subsequent will is inconsistent with the previous will, unless rebutted by clear and convincing evidence. Sec. 15-11-507. If after executing a will the testator is divorced, the divorce revokes any revocable dispositions made to the former spouse. The divorce also revokes any revocable provisions conferring a general or special power of appointment and any nomination of the former spouse as executor, trustee or guardian, unless the will specifically provides otherwise. The former spouse is treated as having predeceased the testator. Sec. 15-11-804. Within 10 days after a testator's death, or as soon as the death becomes known to the custodian, the custodian of a testator's will shall deliver the will to the court having probate jurisdiction in the Colorado county where the decedent resided or was domiciled at death. Any person who willfully fails to deliver a will is liable to any person aggrieved for the damages that may be sustained by the failure. A person who willfully refuses or fails to deliver a will after being ordered by the court in a proceeding brought for the purpose of compelling delivery is subject to penalty for contempt of court. Sec. 15-11-516. The party who wishes to acquire the powers and undertake the duties and liabilities of a personal representative must be appointed by order of the court or register, qualify and be issued letters. Administration of the estate is commenced by the issuance of letters. Sec. 15-12-103. To be effective to prove the transfer of property or to nominate an executor, a will must be declared to be valid by an order of informal probate by the registrar or by an adjudication of probate by the court. Sec. 15-12-102. No later than 30 days after appointment, every personal representative must give information of the appointment to the heirs and devisees. The information should be delivered or sent by ordinary mail to each of the heirs and devisees whose address is reasonably available to the personal representative. The information must include the name and address of the personal representative, indicate that it is being sent to persons who have or may have some interest in the estate being administered, indicate whether bond has been filed and describe the court where papers relating to the estate are on file. A personal representative's failure to give this information is a breach of duty to the persons concerned but does not affect the validity of the appointment, the personal representative's powers or other duties. A personal representative may inform other persons of the appointment by delivery or ordinary first-class mail. Sec. 15-12-705. Within three months after appointment, a personal representative must prepare and file or mail an inventory of property owned by the decedent at the time of death, listing it with reasonable detail and indicating, for listed item, its fair market value as of the date of the decedent's death and the type and amount of any encumbrance that may exist. The inventory must include the oath or affirmation of the personal representative that it is complete and accurate so far as he is informed. The personal representative shall send a copy of the inventory to interested persons who request it, or he may file the original of the inventory with the court. Sec. 15-12-706. Every homestead is exempt from attachment from any debt not exceeding in actual cash value in excess of any liens or encumbrances on the homesteaded property, the sum of $75,000 if the homestead is occupied as a home by an owner; or $105,000 if the homestead is occupied as a home by an elderly or disabled owner, an elderly or disabled spouse of an owner, or an elderly or disabled dependent of an owner. Sec. 38-41-201. When a married person dies, the surviving spouse is entitled to an elective share, of the augmented estate. The elective share amount determined by the length of time the spouse and the decedent were married to each other as defined in the statute. Sec. 15-11-201. One year after the decedent's death, the personal representative must proceed to pay the claims allowed against the estate in the order of priority, after making provision for family and exempt property allowances. Sec. 15-12-807.
all other claims. Sec. 15-12-805. There is no inheritance tax in the State of Colorado. The estate tax equals the total amount of the federal credit available to the estate on the estate's federal tax return. However, with the federal repeal of the credit for state estate taxes in 2005, there is currently no estate tax. Sec. 39-23.5-103(1). The credit is allowed for up to 75% of the conservation easement?s fair market value and 50% of any amount exceeding $100,000. The conservation easement credit is capped at $1,500,000. Colorado also allows a credit for food contributions to hunger-relief organizations. The credit is currently set to expire after January 1, 2025. COLO. REV. STAT. §39-22-536. The credit is allowed for up to 25% of the contribution?s value and is capped at $5,000. Taxpayers who claim the standard deduction on their federal income tax return may be permitted to deduct charitable contributions for state income tax purposes. Colorado requires a budget surplus in order for these residents to take a charitable deduction. The qualified surplus that is needed for the charitable contribution subtraction to be available in any given tax year is a $100 million surplus that must be refunded under the state constitution. The $100 million amount will be adjusted for the rate of growth of Colorado personal income. The amount that can be subtracted from income will be equal to the amount in excess of $500 that could have been deducted on the Federal Schedule A under the Gifts to Charity section had the taxpayer itemized their federal deductions. Colo. Rev. Stat. §39-22-104(4)(m), § 24-77-103.6(1)(b),(6)(b)(1)(A). Colorado, a "conditional exemption" state, regulates the issuance of charitable gift annuities under Colorado Revised Statutes Secs. 10-1-102(4) and 10-3-903(2)(i). Charities must meet certain conditions before issuing a charitable gift annuity in this state in order to qualify for exemption from regulation as an insurance business transaction. To qualify for exemption, charities must (i) have been in continuous operation for three years, (ii) be qualified to receive contributions as described in Sec. 170(c), (iii) have received its exempt notification status from the IRS if required by Sec. 170(c) and (iv) issue annuities satisfying Sec. 501(m)(5). "This annuity is not issued by an insurance company nor regulated by the Colorado division of insurance and is not protected by any state guaranty fund or protective association."